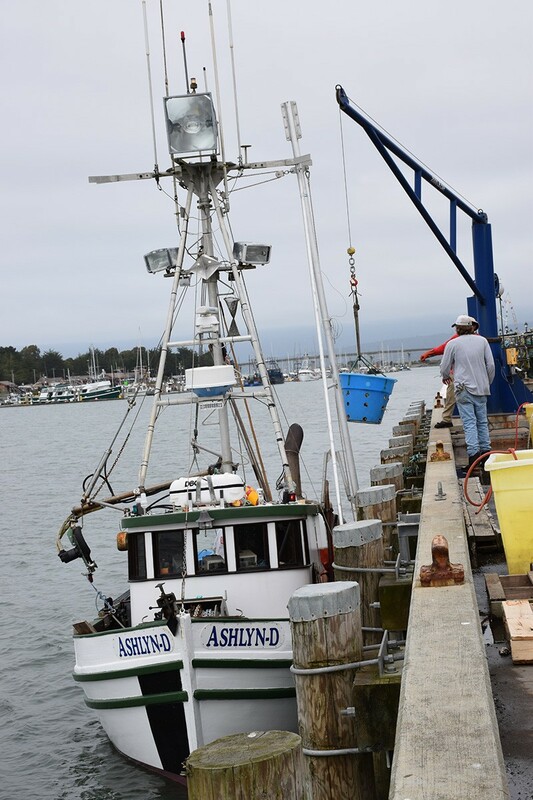 The crew of the Ashlyn-D unloads its haul on the first day of commercial crab fishing in Humboldt County. 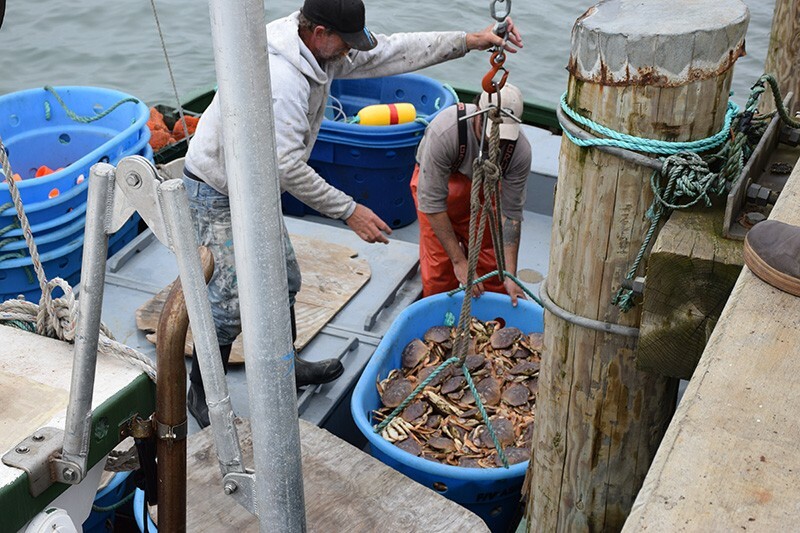 Humboldt's commercial crab fishermen are back in business as of today, hauling up pots all along the California coastline, including our county. Well, most of our county. The California Department of Fish and Wildlife declared the fishing open in all but the area "between 40° 46.15′ N latitude (a line extending due west from the west end of the north jetty at the entrance of Humboldt Bay) and 41° 17.6’ N latitude." 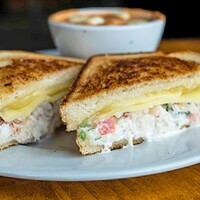 The most recent round of tests for domoic acid in crabs from our area showed no "significant threat," and the season will run until July 30, so break out the sourdough, Humboldt. Tubs of crab en route to Wild Planet's water tanks. Boats like the Ashlyn-D will be unloading at Wild Planet's C Street dock in Eureka late into the night. The seafood company's vice president and co-founder Bill McCarthy was standing out on the dock as great buckets of crabs were hoisted from the boat and dumped into waiting water tubs. As a forklift beeped and pivoted behind him, he said he came out to see the haul, concerned there might be a high number of soft shells. Instead, he said, "the quality looks pretty good. 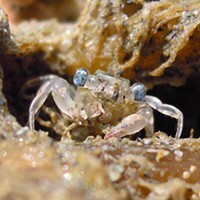 ... Nice and full, pre-molt crabs." Ten boats total will unload there by the time the handful of men on the dock go home. "Everybody's happy to be working," he said.